Why should you buy a Christmas tree from us, we grow all of our trees ourselves you can even come and see them growing in the field if you wish, unlike some other sellers that buy trees weeks in advance to sell on, chances are these trees will soon lose their needles due to being cut too early. Why we don't class our trees as premium, first class etc, these terms are only used by growers to class their trees into different qualities, we feel that we don't need to do this as we only sell trees that we would buy ourselves as if we were a retail customer looking for a nice quality tree, grading trees as premium etc can also have the effect of putting the price up. We cultivate and care for our trees with great care and attention. 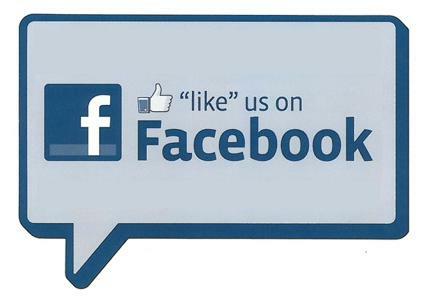 You can be confident of excellent quality by purchasing from us. We as growers are dedicated to the production of quality real Christmas trees. The climate in Ireland is suited to the production of Christmas trees and our trees are planted, pruned, sheared and nurtured to the highest standards at the correct times of year. Noble Fir is commonly called red fir or white fir. 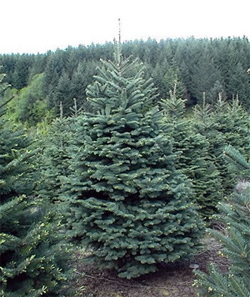 Noble Fir attains the largest dimensions of any of the true fir species. Noble Fir is considered an excellent Christmas tree because of its beauty, stiff branches and long life. 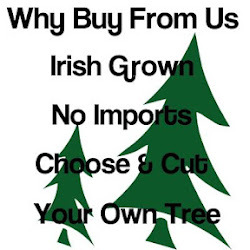 This is one of the most popular non shed tree on the Irish market. Its known for its scent and colour and has good needle retention. 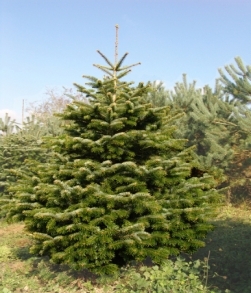 Our saleable sizes for this type of tree are typically from 4ft - 5ft plus. The Fraser fir branches turn slightly upward. They have good form and needle-retention. They are dark blue-green in color.